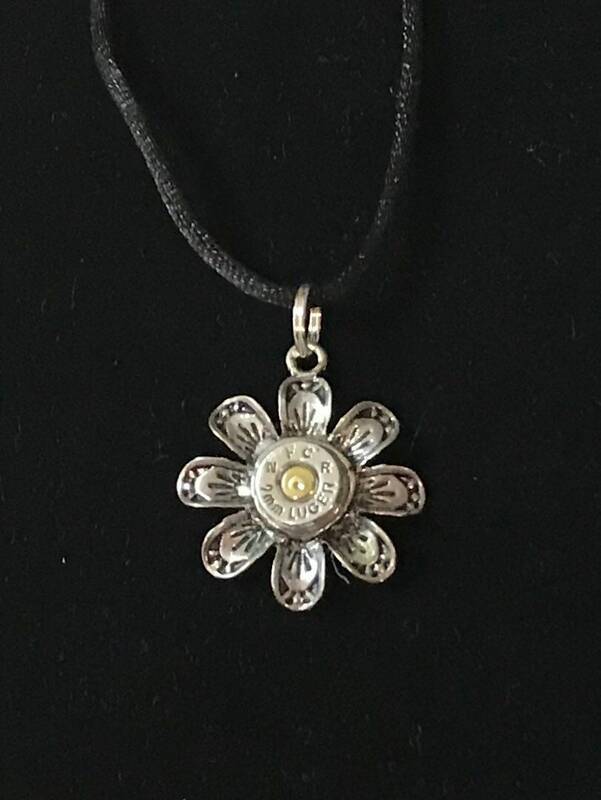 Beautiful detailed flower necklace with highly polished bullet casing. Your choice of "silver" or "gold" looking bullet casing. Please not the brand of casing may vary from what is pictured. I keep these in stock for fast shipping and typically they are made with .9mm and occasionally with .380 casings. *****Other coordinating flower bullet designs are available: earrings and bracelets!!!! Please scroll through photos in this listing to see bracelet & earrings.